Ronald Nicklaus doesn’t shy away from taking a chance — seizing opportunities seems to be part of his genetic makeup. Ron’s success as an influential entrepreneur in two different industries, farming and banking, is linked to his curiosity and industriousness, setting a path for many other small businesses to succeed and prosper across our area. Ron was born on Feb. 9, 1936 in San Jacinto, California. A calculated gamble found Ron’s father moving his family to Irma, Wisconsin, where his dad bought one cow, ultimately becoming the start of a busy dairy farm. That early example set a course for Ron to pursue his own enterprising path in 1956, learning all he could about fertilizing crops. Through connections, this work led him to discover green beans could be gathered faster through mechanical harvesters, instead of being picked by hand. Opportunity number one emerged — along with his parents, who sold the family cattle to help finance his idea — Ron developed a successful bean harvesting business in 1957 that soon stretched beyond north central Wisconsin to five other states. In 1960, Ron was stationed in Fort Lewis, Washington on National Guard duty, where he met Kay Delmore. The couple married in November 1962 and son Todd was born in 1963. Ron’s interests grew even larger and busier, officially becoming Nicklaus Enterprises in the mid-1960s. Harvesting work necessitated Ron moving his young family to follow the seasonal nature of farming to maintain the business, which soon expanded beyond bean harvesting, to include farms with innovative irrigation systems. Thanks to his experience and willingness to experiment, Ron began another venture in 1965, manufacturing his own harvesting equipment in a shop located next to the family farm in Irma. By 1966, Ron and Kay had welcomed their second son, Greg. In the 1970s, farms run by Nicklaus Enterprises were employing over 300 workers, sending almost 80 trucks of beans out a day for distribution. And then opportunity appeared again in a totally different industry — owning a bank. With more than 25 years of experience setting up unique financing to manage his interests with a variety of lenders, this venture was the next thing for Ron to tackle. 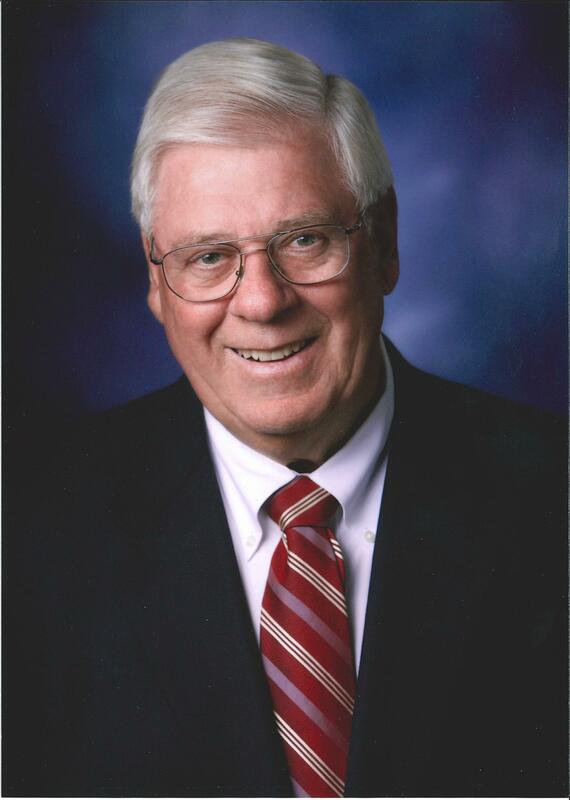 As he began selling the farm interests, Ron determined the right opportunity he was looking for: River Valley State Bank, which opened in 1967 in Rothschild. The profits from selling much of the farm proceeds helped Ron become the majority River Valley stockholder in 1983. From there, its success has only grown to new and exciting heights, leading to its next phases as River Valley State Bank acquired other entities, changed its name to River Valley Bank and charted impressive growth in its retail, commercial and insurance business across Wisconsin and Michigan’s Upper Peninsula. While sons Todd and Greg have run the day-to-day business since the late 1990s, due to Ron’s experience and farsightedness, River Valley continues to invest in local small businesses and the success of the area. Additionally, Ron’s inspiration leads River Valley to share its generosity as a local booster throughout the 15 communities where it does business.